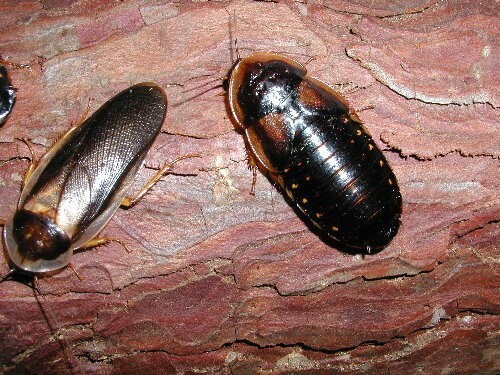 Dubia roaches are also known as the Argantine roach, orange spotted roach or the Gyanna spotted roach. We all know and love them as Dubies. Their favourite thing is to hide and they do it well. 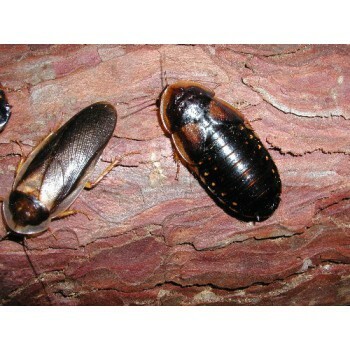 You can have 30 of these critters in a box and you will find them ALL hiding under one log. The males and females are easy to tell apart as the adult males have wings. DON'T PANIC... they can't fly! They are commonly used and bred for feeding to other animals such as reptiles, tarantulas and amphibians. We just like to look after them.